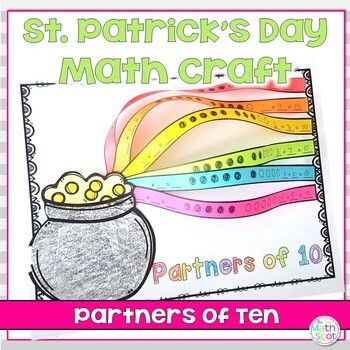 This partners of 10 math craft is perfect for your kindergarten or first grade students on St. Patrick's Day. 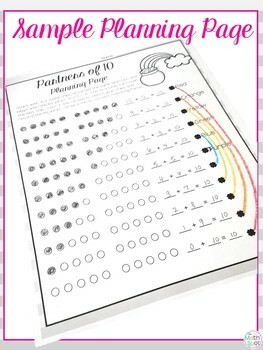 The craftivity is created while working with concrete materials so that you can be sure that this is more than a craft and that your students will see and practice number patterns while they are creating. This craft is truly print and go! 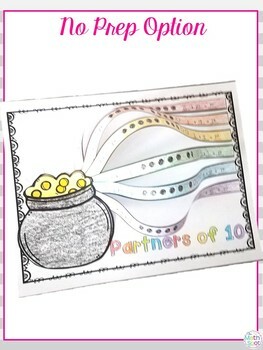 You can print onto white paper so your students can color or you can print onto colored paper for a super quick and easy craft. This would make an excellent bulletin board when you are finished. 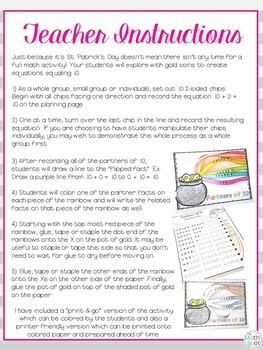 I have also included a planning page template so that your students can plan their work before moving to their final copy. This planning page also makes an excellent assessment tool.